More details about the Pope’s visit to Morocco were unveiled on Tuesday. 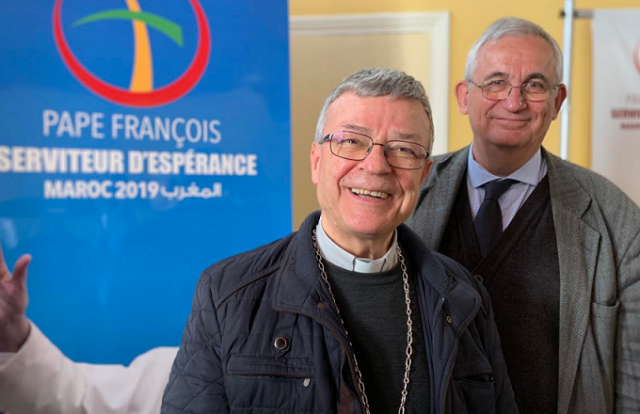 Rabat – On Tuesday, bishops in Morocco met for a press conference in Casablanca to discuss the schedule of Pope Francis’s visit. The pope will arrive in Morocco on March 30 for a two-day visit. 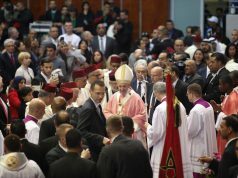 Archbishop Cristobal Lopez Romero of Rabat said the pope is visiting Morocco for two reasons: To accept King Mohammed VI’s invitation request for a state visit and to respond to the invitation of Catholics in Morocco. Along with Romero, Archbishop Santiago Agrelo Martinez of Tangier and Father Daniel Nourrissat spoke at the press conference. 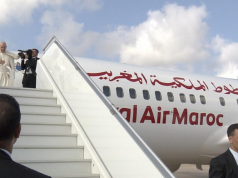 The first stop for Pope Francis will be a meeting with King Mohammed VI on Saturday, March 30 at 2:30 at the Royal Palace of Rabat for an official reception ceremony. Pope Francis and the King will also visit Hassan Tower in Rabat. Both the King and the “servant of hope” will deliver a speech. The pope will also visit the mausoleum of King Mohammed V.
Later, the pope will visit the Mohammed VI Institute for the Training of Imams, where he will meet Islamic counsellors and imams. Morocco’s Minister of Islamic Affairs Ahmed Taoufiq will give a speech, which will be followed by statements from European and African students at the center. Students will then sing Muslim, Christian, and Jewish songs. The Pope will then head to the headquarters of Caritas, an international confederation of Catholic charitable organizations. At 8 p.m. the Royal Palace will host a dinner with the Vatican delegation. Sunday, March 31 will start with a visit from Pope Francis to the Rural Social Service of Temara run by the Daughters of Charity. Pope Francis will also visit Saint Peter’s Cathedral in Rabat to meet with priests and other Christian leaders. The pope will also hold a solemn papal mass in the Prince Moulay Abdallah Sports Complex. The pope will then head to the airport to leave Morocco for the Vatican. Lat month, Vatican News estimated the number of Catholics in Morocco at 50,000, who are mostly European expatriates. In 1985, late monarch Hassan II invited Pope John Paul II, the first pope to visit Morocco, as an opportunity to build a bridge between Muslims and Christians.